“Unearthed” follows Agent Olivia Dunham and her teammates Peter and Walter while they investigate a case of resurrection and possession. A teenage girl, Lisa Donovan, has a brain aneurysm and is declared brain dead. After she’s taken off life support and her organs are about to be harvested for donation, she wakes up screaming an alphanumeric code and speaking Russian. The team determines that Lisa is being possessed by the consciousness of Andrew Rusk, a naval officer who was recently murdered. The team chemically hypnotizes Lisa in order to talk to Rusk and find out who murdered him, but Rusk takes control of Lisa’s body and tracks down his killer himself. His wife contracted a man to kill him, and Rusk-Lisa attempts to murder his widow in revenge. Rusk-Lisa is stopped by Peter, and Lisa is eventually able to purge Rusk from her consciousness. She lives, and presumably gets to resume her normal life. In the first scene, at Lisa’s bedside, we meet her mother Maureen and their local Catholic priest. The priest is seen blessing Lisa with sacred oils and praying over her before Maureen gives the okay for her daughter to be taken off life support. One would think that the priest is giving Lisa last rites, the final blessings of a person before they die. Actually, the prayers he’s using are from the Catholic sacrament of Anointing of the Sick. While similar to last rites, this sacrament is for strengthening and healing of a person, either physically or spiritually, not for a person who is about to die. To me, this says that Maureen was hoping that her daughter might pull through being taken off life support, or that there might have been an unspoken connection between the sacrament itself and why Lisa was the one Rusk possesses.The priest was even dressed appropriately, wearing his normal black clerics with a purple stole (the long strip of cloth than hangs from his neck, a bit like a scarf). Purple stoles are the simplest “uniform” Catholic priests while administering sacraments of healing, whether it be hearing a confession or administering Anointing of the Sick. Stoles come in different colors that mean different things, and the fact that the priest is not only wearing a stole, but also the correct color, is impressive. Later we see the priest coming out of the church, and he’s wearing a green chasuble (a large poncho-like garment that’s worn during Mass); again, it’s the appropriate color for the time of year, judging by the weather. At that church, Dunham meets Maureen and Lisa after the service to try to convince them to let her team conduct a special experiment to help Lisa. The church is named for St. Brigid, and might actually be the real church they filmed at. Usually churches get names that are made up, like “Holy Jesus Baltimore Church” (which defies the normal naming conventions) or pick an overused saint, like St. Francis. Whenever Dunham and her team speak with Maureen, it’s clear that she’s trying to use her faith to guide her decisions. She seeks counsel with her pastor, and often fingers her cross necklace. At the end of the episode, Maureen wonders if her daughter is truly healed. Walter paraphrases Isaiah 7:9 in Latin, and Maureen translates it to “unless you believe you will not understand.” It’s meant to be a paraphrase of the Vulgate, the Latin translation of the Bible that used to be official translation for the Catholic Church. Catholics don’t use the Vulgate anymore (outside a classroom). Culturally, regular Catholics, even ones who would describe themselves as devout, wouldn’t have the kind of biblical literacy and recall to identify such an obscure passage. Memorizing scripture verses and having a very intimate understanding of the whole Bible is much more common in Protestant Christian churches, especially ones that ascribe to sola scriptura. Nonetheless, I definitely give the writers credit for trying. It’s a good mistake for them to make, and the casual viewer wouldn’t necessary identify this cultural distinction. The most striking the the episode got right about Catholicism was the encounter between Walter and the priest when they first meet in the hospital. Walter uses techno-babble to suggest that Lisa is being possessed by someone’s “energy.” The priest admonishes Walter for suggesting something so preposterous. He’s not balking because of the science, he’s balking because he doesn’t really believe in possession, demonic or other means. From here on out, the priest is mostly ignored by our protagonists and Maureen; exorcism is never a option that’s discussed. 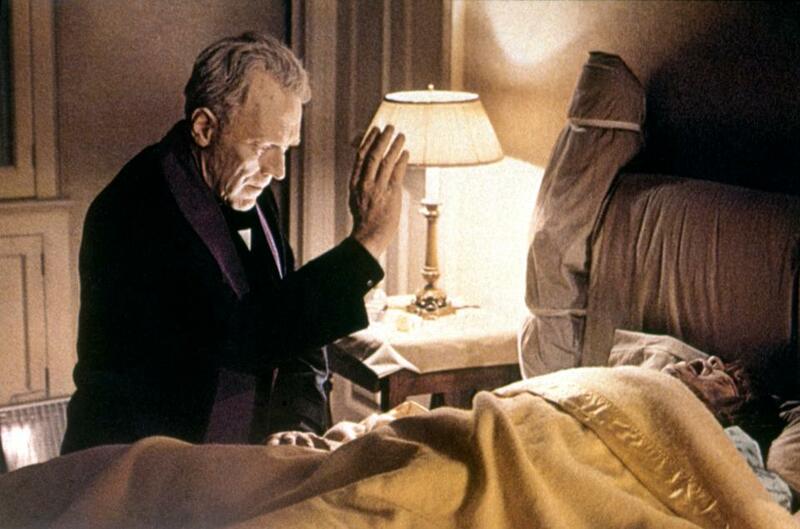 While it’s almost always the Catholics that get to portray exorcists in the movies, the fact is many Catholic priests don’t actually believe in demons or exorcisms anymore, even though Pope Francis does. Demons aren’t something that come up outside casual questions around Halloween, and generally speaking, pastors are much more focused on preaching the love of God and neighbor over the fear of Hell. For many years, the top Vatican people talking about exorcism were rather extreme. Fr. Gabriele Amorth, the former chief exorcist of Rome, condemned Harry Potter and yoga. It’s rare to find a Catholic priest these days who would agree with him, and most bishops in the United States haven’t appointed a trained exorcist for the communities they oversee. Overall, it’s actually more rare to meet a priest who really believes in demons and exorcism than to find one who doesn’t. So it’s actually quite believable that both the priest and Maureen would be hesitant to admit that Lisa could be possessed, let alone seek treatment for it through religious channels. Lisa mentions to Dunham that her friends at church are avoiding her because of rumors that she’s possessed, or at least that she thinks she is. That she would even consider it instead of a conventional illness makes her an outsider. The episode gives us a peek into the tension within a religion between people living in the modern world and a long tradition that includes things like angels, demons, and exorcism. I don’t think the writers intended to highlight this tension, but it’s certainly a happy accident. The rest of the episode isn’t very good. The plot relies on tired tropes and bad writing, and ends with an unnecessary cliffhanger that is never picked up again. It’s a stand-alone episode that ended its life as a special feature on the Season 2 DVDs. However, the episode did get enough of the details right to allow its religious elements to add some depth to the characters and the story. This helps maintain immersion in the story for audience members who are Catholic. It’s so distracting when a show tries to include something from your religion but gets it wrong. Supernatural did this so badly that it was unintentionally comedic. In early episodes, we’d often see a Catholic rosary next to a Satanic pentagram on the wall, which would be horrifying to a Catholic who loves to pray the rosary. Doctor Who’s hyper-sexual nuns often caricature the Catholic Church or the Church of England, and some episodes give us faith as a dangerous vulnerability. Usually what we see is writers getting religious details wrong or portraying religious people as weak or evil. But this episode of Fringe does neither. The priest’s details add to the authenticity of the religion, and they help me believe that these characters are serious about their religion. By having them question the possibility of possession, it not only created some much-needed conflict for the plot, but also helped the characters seem more real. It showed religious people who were serious about their faith but weren’t perfect at it. The story gives us flawed characters who were also authentically religious.That’s the way religion is supposed to work in good sci-fi. If writers go out of their way to make sure their techno-babble is sufficiently plausible by scientific standards, they should be doing the same with religion. This entry was posted in Oh My Pop Culture Religion, Religion, Science Fiction, tv show and tagged Catholicism, exorcism, fringe, olivia dunham, possession, priest, religious representation by stinekey. Bookmark the permalink.